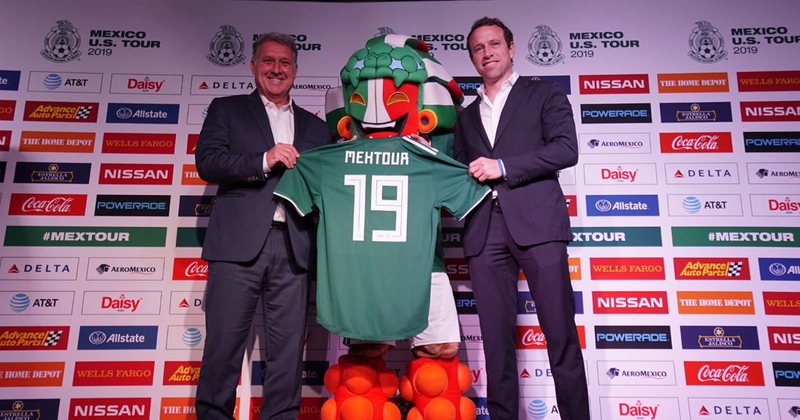 It has sort of become a tradition for the Mexican National Team to hit the reset button after every FIFA World Cup competition. And this year is not the exception, as Gerardo Tata Martino makes his long awaited debut as Head Coach of El Tri on Friday in San Diego against a team that surprisingly missed 2018’s Russian-hosted tournament, Chile. In the past, managing National squads for Tata Martino has been a rollercoaster ride to say the least. He lead Paraguay to a very successful quarterfinal run in South Africa 2010, considering the “Guarani” haven’t had the strongest team in World Football, let alone their own region at any given time in its history. In August 2014 he took charge of the powerhouse that is Argentina, hoping to lead the South American giant to achieving trophies, something that has eluded them since 1993. And while he lead Argentina, with the world’s best player Lionel Messi in toll, to two consecutive Copa America Finals in 2015 and 2016, he came up short in both against, of all rivals; Chile. After suffering those heartbreaking defeats, Martino resigned from the Argentinian National Team. Now, the entire country of México is expecting Tata Martino to at least bring the same results he had with Paraguay, getting to the Quarter Final Stage, as Mexican fans call it “El Quinto Partido/The Fifth Game”, has become quite an obsession. First thing’s first however, “El Tri” has to face “La Roja”, an opponent that has embarrassed them in recent times. Not only did Chile win their last friendly encounter in 2018, 0-1 in Queretaro, but they are also the proud holders of México’s biggest defeat and elimination in decades, when they pounded Juan Carlos Osorio’s men 7-0 in Santa Clara, California during the Quarter Final stage of the Copa America Centenario in 2016. This will be México’s first friendly of 2019 before facing Paraguay on Tuesday March 26 in, of all locations, Santa Clara’s Levi’s Stadium. 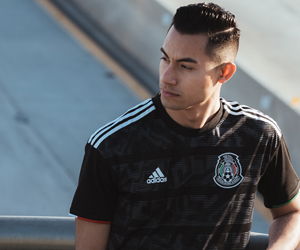 As you can see, there are many elements that bring a sense of value and importance to this game, but the real question to ask ourselves is, ¿Will México finally gain some semblance of revenge or will Chile continue it’s recent dominance? Follow The Stoppage Time on Facebook, Twitter, and Instagram. Coupled with my extreme passion for sports, mostly soccer, and the fact that I kept up with news and statistics, I decided to choose Journalism as my major in College. By then I was 18 years old and had fully understood the difference between a job and a career, and thus knew that if I truly wanted to be happy in life I had to do what I loved for a living. Work for a living in something that you wouldn´t mind doing for free and you won´t ever have to work another day for the rest of your life. And so, little by little, I began covering news stories about Social, Political, Technology and many others as if they were Sports news stories, because that is the style that I loved to read and that came naturally to me when writing. I believe that if you truly want the audience to care about mundane everyday news, they have to be tackled and covered in an entertaining way and always with the unrivaled passion of a sports team fan. I hope to one day revolutionize the way wrestling, film, entertainment and sports news are presented. To take the perspective of the average fan of each of these industries and meld it with the professionalism of how ESPN´s SportsCenter presents the most relevant moments, news, statistics and more. At 23 years of age, I am currently far from my goal, but every step I take towards it, however small it may be at times, drives me into furthering my career. Humble and Hungry. Always, Humble and Hungry.